Hawaiian plantains are a different kind of green plantain with succulent taste and a hint of sweet. Already cut and peeled, ours come ready to prepare.. the only trouble you’ll have will be eating “just one”. Available in 2lb resealable bags. 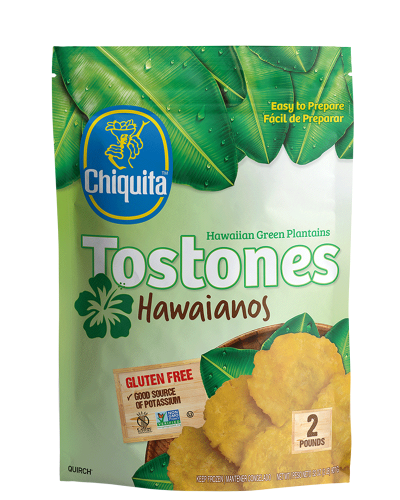 Ingredients: Green hawaiian plantain, non hydrogenated palm oil.